Cold, fresh eggnog is taken to a new level as it mingles with fragrant chai. I was never a fan eggnog growing up. The flavors from the carton at holiday parties never pleased my palate. Then I discovered delightful homemade eggnog full of nutrient dense ingredients like (raw) whole milk, farm fresh eggs, freshly ground spices, and maple syrup. I never looked at a glass of the popular beverage the same again. You could settle for a glass of regular raw eggnog but for a fun twist try mixing chai concentrate and eggnog together to get the best of both worlds-enter chai eggnog. 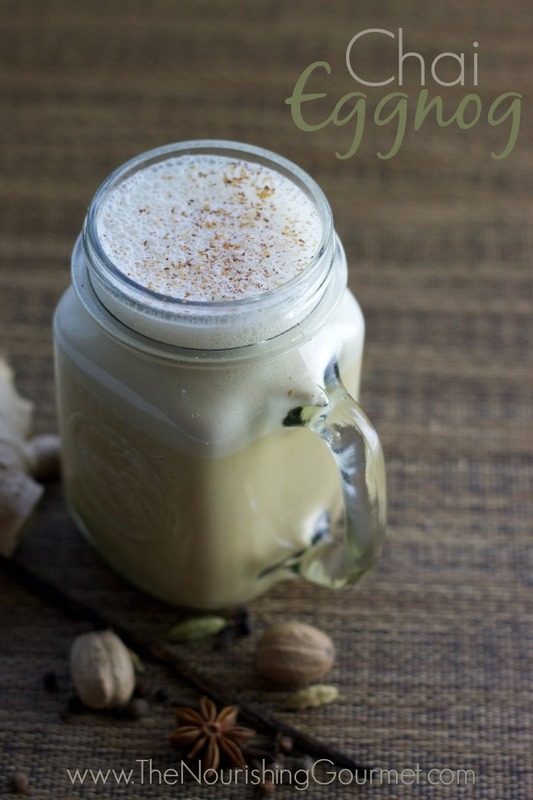 Find my recipe for Chai Eggnog at The Nourishing Gourmet, it’s the perfect way to start off December!